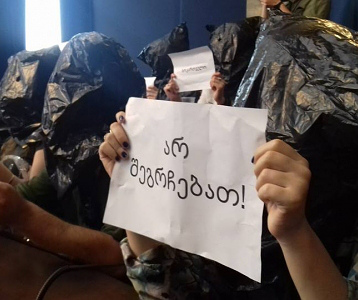 TBILISI, DFWatch–Activists rallied in Tbilisi on Wednesday against the apparent abduction and return to Azerbaijan of an investigative journalist who had criticized the Aliyev regime. 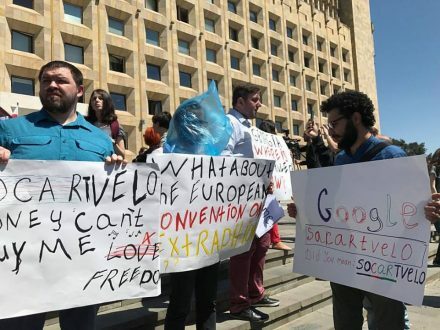 Journalists and rights activists rallied outside the government office in Tbilisi while the Georgian government struggled to explain what had happened. 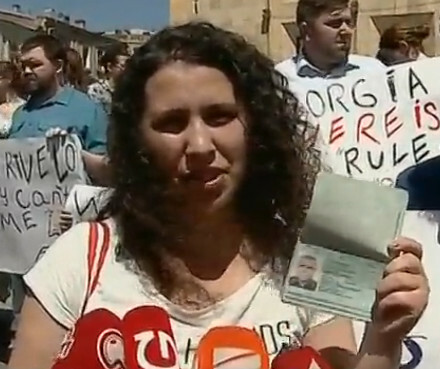 The wife of abducted journalist Afgan Mukhtarli held her husband’s passport up to the cameras as proof against the official account that he had crossed the border. She said her husband was severely beaten by the abductors, the identity of whom is still a mystery. 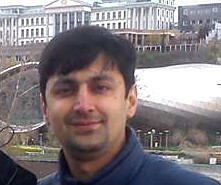 Meanwhile, Georgian authorities were struggling to lay out a precise account of what happened when the Azerbaijani journalist was abducted in Tbilisi Monday night and the next day turned up in a Baku prison. 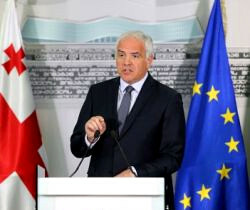 Vakhtang Gomlauri, head of Georgia’s intelligence service the State Security Service (SUS), said an investigation is underway by the Ministry of Internal Affairs and his service also will look into the issue. 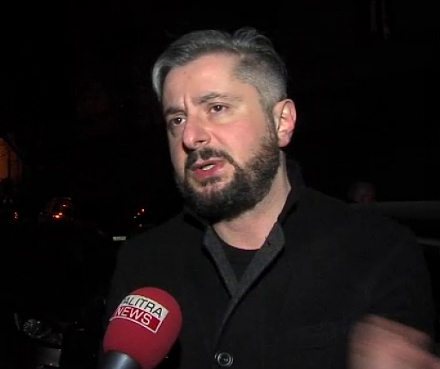 The SUS chief didn’t answer questions regarding the abduction itself beyond stating that journalist Afgan Mukhtarli was detained by Azerbaijani authorities as he was crossing “the green border”, not at the border crossing, without elaborating. MIA, which formally is investigating the case, limited its response to one paragraph published on its website. Meanwhile, Prime Minister Giorgi Kvirikashvili and Minister of Internal Affairs Giorgi Mgebrishvili attended the Police Day celebration. 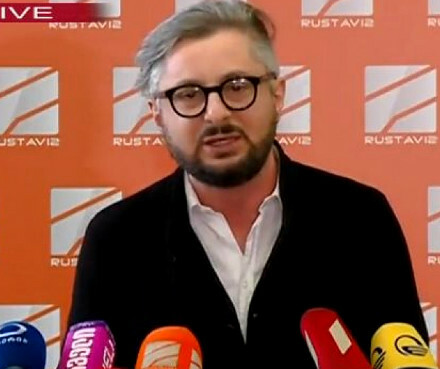 They were surrounded by journalists asking them about the abducted journalist, but refused to comment beyond a brief statement by Mgebrishvili that the MIA has already released a comment, referring to the paragraph quoted above. Azerbaijani authorities accused Mukhtarli of illegally crossing the state border, resisting law enforcers and being a member of an “anti-Azerbaijani” underground movement, the pro-government news website Haqqin.az reports. “On May 29, at 10:40pm after illegally crossing the state border, Afghan Mukhtarli was detained by the employees of the State Border Service,” head of the press service of the Prosecutor General’s Office Eldar Sultanov reported told haqqin.az. In the report, haqqin.az refers to Mukhtarli as “one of the leaders of an anti-Azerbaijani underground [movement] in Tbilisi”.